First let me say welcome to InfamousNissan, chances are that if you are reading this you may be new to nissans or just beginning to build your ride. No worries though, you are not alone. Many people have once asked these questions. 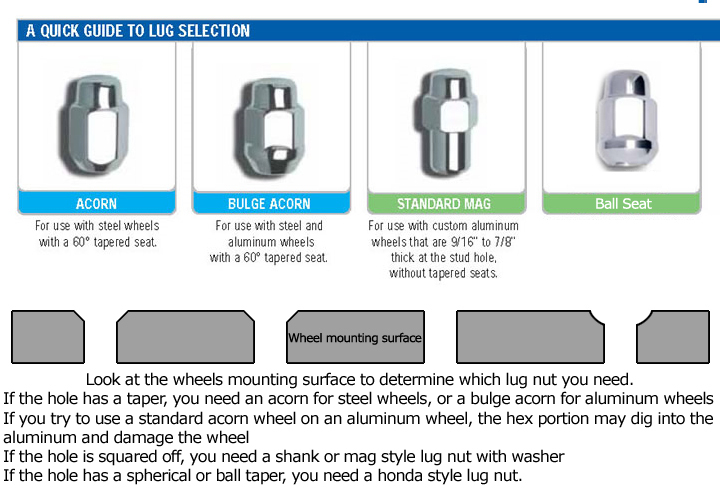 Q: What is the lug and bolt pattern for my truck? A: 6 on 139.7mm or 6 on 5.5"
Q:What's the right offset for a hardbody? Q:What is the center bore for my truck? Q:Will Cadillac Escalade wheels fit my truck? A:With a little work yes. The lug pattern on full size GM rims are the same, yet the center will have to be bored to the above mentioned specs to fit. This is also true for Nissan Titan wheels. On a side note Escalade wheels are often referred to as "eskies"
Q:What wheels can I run that don't require them to be bored out in the center? Q:What all wheels can fit if they are bored? Q:What are the specs if I have an '05 up? Q:How can I determine the right rim tire combination for me? Q:How do I get my rims bored? A:Many prefer to take them into a machine shop and have them professionally done. Although there is a process that has become quite popular to do it yourselfers using a router. Q:Are there any other concerns that need to be mentioned in regards to fitting any of the above mentioned wheels? A:Yes some wheels may require you to flair your bedside. Other ways people have worked out small clearance issues, have been trimming or rolling the inner lip. Up front 4x4 or Pathfinder fenders and make life easier by giving you added space. Hope this thread a help to people and will eliminate many other duplicate threads. If anyone has useful fact to contribute here (do so) or sees anything that may need a correction (let me know) other than that let's keep this a tech thread. The only reason I'm leaving open is for more contributions...If you have a question requiring more information or explanation, open a thread and ask...but please search first to see that it hasn't already been asked. As time goes by we hope we can bring more in depth how to articles that may help with some things mentioned here such as boring with router and flaring the bedsides. i assume the titan 5 spokes are the same? wgat about the titan 17's? 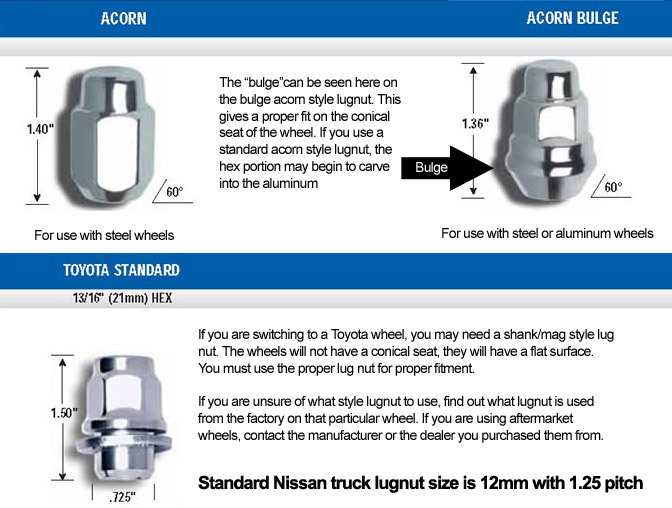 eskies, titans, denalis and etc are normally bolted up with bulge acorn style. what does it take to run 15" pathys with spindles? the 05+ frontiers are 6 on 4.5 / 6 on 114. Anyone know the backspacing of the 18" Titan wheels? I am looking at 6 spoke but I hear they are the same as 5's.